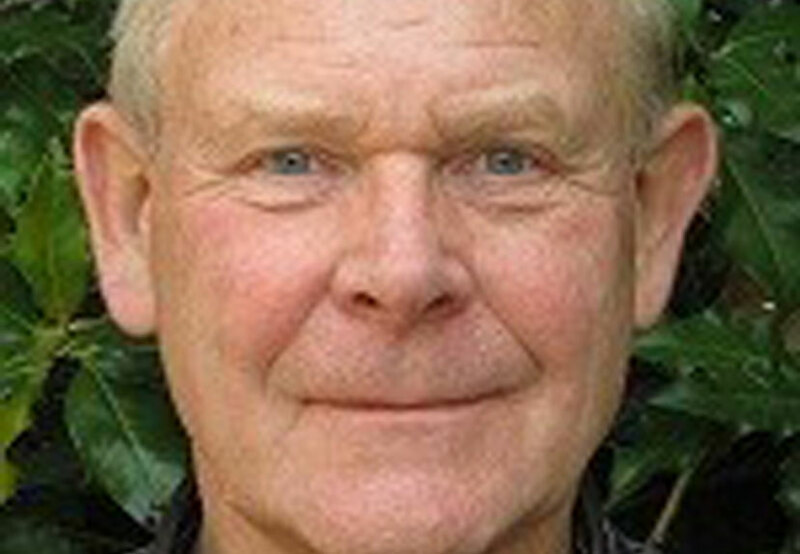 Environmentalist and broadcaster Chris Baines, chair of the VIP project’s Stakeholder Advisory Group, reveals the rewards and challenges of moving unsightly transmission equipment out-of-view and underground. 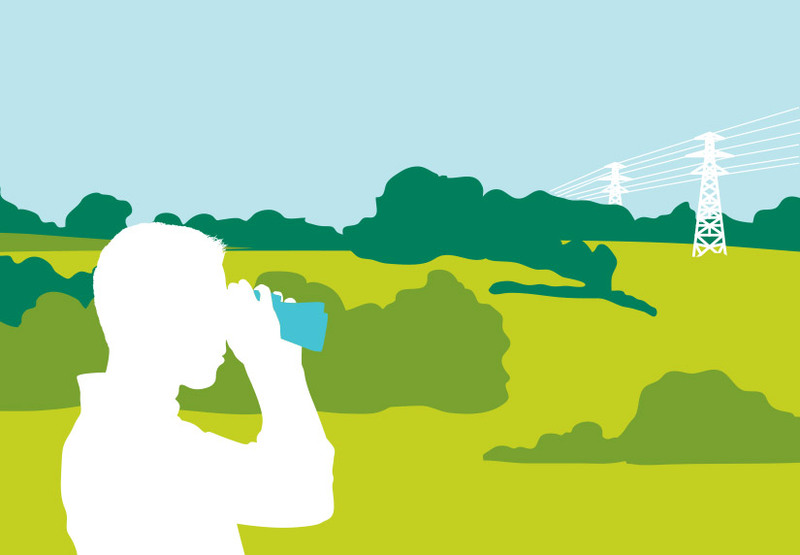 It was a very visionary decision by Ofgem to tackle the removal of long-established pylons and transmission lines from some of the most sensitive, spectacular and well-loved landscapes in the UK. It was a very visionary decision by Ofgem to tackle the removal of long-established pylons and transmission lines from some of the most sensitive, spectacular and well-loved landscapes in the UK. This is a world-wide first! Now, after four years of rigorous and highly professional hard work, National Grid’s Visual Impact Provision (VIP) scheme is about to deliver tangible results on the ground. National Grid’s specialist planners and engineers have collaborated closely with the national Stakeholder Advisory Group and its landscape and environmental professionals from such significant organisations as the National Trust, Natural Resources Wales and the Campaign for National Parks. Sophisticated landscape analysis of all the transmission lines in all the affected Areas of Outstanding Natural Beauty and National Parks in England and Wales resulted in the selection of the four most deserving landscapes. Now the first of these, along the skyline of the Dorset Downs, has reached the formal planning application stage. The remaining three projects, in Snowdonia, the Peak District and the New Forest are also well underway and planning applications will follow soon. By definition these are among the most challenging landscapes in which to underground power cables. The geology, archaeology and ecology are all extremely significant and the technical challenges for National Grid are immense – but the outcomes will be spectacularly worthwhile. It was clear from the start that local anxieties and expectations would need very careful management, and one of the most striking aspects of the VIP is the way in which local knowledge and specialist expertise has been successfully engaged. The involvement of archaeologists, ecologists, politicians and members of the public with intimate local knowledge of the affected landscapes has been time consuming but invaluable. In almost every case the process of local stakeholder consultation has turned a potentially hostile reaction into one of helpful and creative support. This outcome has been a pleasant surprise for many of those involved. It is smoothing the passage towards positive landscape change and increasing efficiency on all sides. What is more, this commitment to thorough consultation and clear communication is proving to be extremely cost effective. It is also providing valuable lessons for those other professionals tackling major interventions in sensitive landscapes elsewhere. While the undergrounding of dominant stretches of transmission line will grab the headlines in the long term, the Stakeholder Advisory Group was keen to see more modest improvements to as many of the affected landscapes as possible. 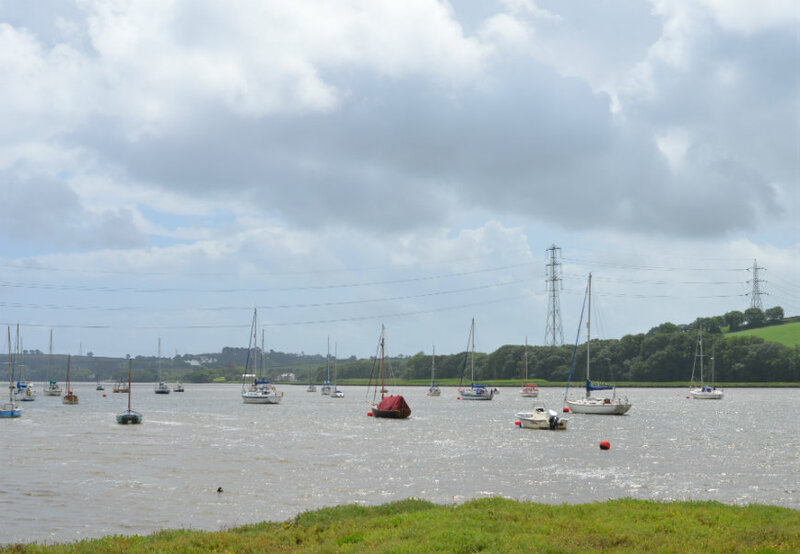 The Landscape Enhancement Initiative (LEI) is providing funds for local schemes that can help to moderate the visual impact where National Grid transmission lines have to remain in the landscape. The work is varied and ranges from screen planting to path re-alignment and from wildlife habitat restoration to improved interpretation. The first of the schemes has now been approved by Ofgem and this source of funding for countryside management has been very warmly welcomed from Sussex in the south to the North York Moors. In some cases there will be tangible improvements as early as the coming summer. I will be encouraging Ofgem to consider a similar provision to allow us to remove more transmission lines during the next funding period, so we can capitalise on the VIP’s unique legacy of earlier landscape analysis. The commitment by the energy regulator to sanction such large scale funding in wild places of national importance was based on thorough customer research. It was clear that the energy-using public were willing to invest in landscapes where their energy supply has had a negative impact. That principle is important, particularly at a time when post-Brexit funding for rural landscapes is so uncertain. As independent chairman of the Stakeholder Advisory Group, I will be encouraging Ofgem to consider a similar provision to allow us to remove more transmission lines during the next funding period, so we can capitalise on the VIP’s unique legacy of earlier landscape analysis. This initiative has already caught the imagination of other regulated industries. I believe there is a particularly compelling justification for the water regulators Ofwat and the Drinking Water Inspectorate to consider similar expenditure. In their case this could be used to influence the management of upland river catchments as a way of improving drinking water security and reducing flood risk – ideas very strongly endorsed recently by the Secretary of State for Environment and Rural Affairs. The VIP’s rigorous stakeholder consultation process has impressed some of the professionals charged with delivering the landscape change associated with HS2, while the big idea of a new Northern Forest would be one obvious place where support from regulated industries could play a role. 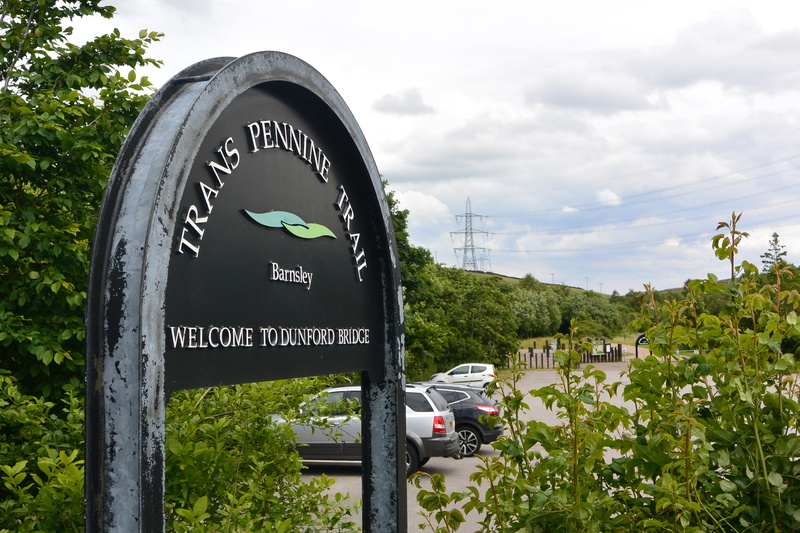 In fact the Peak District VIP project, where overhead lines are to be removed from the valley to the eastern end of the Woodhead Tunnel, may well prove suitable for kick-starting this particular government greening initiative. 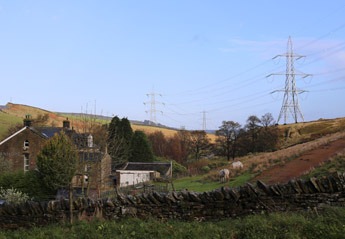 Ofgem’s initiative, as realised through National Grid’s VIP programme, will undoubtedly be transformational in the very special landscapes where the pylons and transmission lines are set to disappear. As the work progresses, and the consultative process we have adopted becomes more widely understood we can expect the visual impact provision to benefit many more landscapes and communities. It should also influence the installation of future transmission lines through the UK’s most sensitive landscapes.